BEAUTIFUL AND POWERFUL SUNSEEKER 68 PREDATOR ONE OWNER - ALWAYS IN FRESHWATER! LOW HOURS! 2005 Sunseeker 68 Predator with MAN 1,300 HP diesels, bow thruster, hydraulic swim platform, tender in garage storage, full electronics, three staterooms, three heads, and all the luxury, performance, and style expected from a Sunseeker! Fresh bottom paint, engines, transmissions, and generator services completed in May 2018. Excellent performance! Please call for appointment! United Yacht Sales New Jersey would love to guide you through a personal showing of this 68' Sunseeker Predator 68 2005. 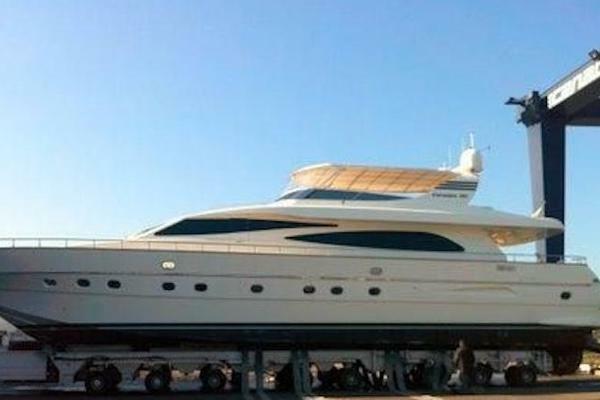 This yacht for sale is located in Pottsboro, Texas and priced at $849,900. For a showing please contact us by filling out the form on this page and we will get back to you shortly!